It’s time again for one of the largest Ruby and Rails technology conferences: RubyConf, April 21st, 2018. The best and brightest Ruby and Rails developers from throughout Europe and North America will gather in Minsk for a full day of expert talks. 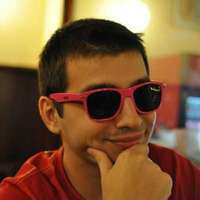 Bozhidar Batsov, VP of Engineering at Toptal, will kick off the conference at 10:00 AM with a talk on RuboCop: a powerful Ruby static code analyzer that makes it easy for you to enforce a consistent code style throughout your Ruby projects. The talk will explore features and uses, and will give a glimpse at the future of this groundbreaking tool. For more information and to get your ticket, please see the event website.